When it comes to structures, metal is one of the most durable and versatile materials available. If your industrial structures are crafted with metal, count on our bonded and insured team to provide custom fabrication and welding repair services. 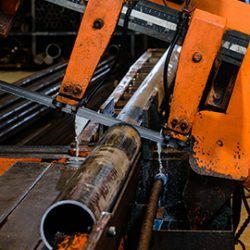 The highly trained and experienced welders at D & M Welding Co are prepared to take care of your structural metal, including crafting and installing structural beams and headers. If your structure is damaged or weakened, welding will repair and re-strengthen the beams. 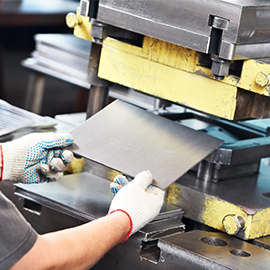 When it comes to your industrial equipment, dependable fabrication and welding repairs and maintenance are essential for ensuring your machinery provides safe and effective performance. Rely on us for welding repairs and light machining to create custom repairs and pieces. Custom sheering, material bending, punching, laser cutting, and material rolling provide exceptional versatility for your industrial machinery, thereby allowing you to create and maintain exactly the performance you need. It takes experience and exceptional welding skills to tackle what commercial welding can throw your way. It is crucial to have a highly skilled welding team to partner with in both new construction and addressing and mending any withstanding structural issues. D & M Welding provides experienced precision welding for your commercial business! Why work with D & M Welding for your commercial business projects? Improved safety – Not only do we pay attention to the small details in our work to give our clients a beautiful and functional outcome, we make it a habit to stay focused and detailed-oriented for improved safety. Safety is of our utmost concern when it comes to commercial projects — you want strength and durability in your structure for the safety of all those use it. Customizable – Similar to our residential welding, we can craft and customize a project to make it practical for your business. Because metal is pliable and easily moldable, we can provide you with a wide range of options from the most complex to a simple design. Connect with us today and start planning your next commercial welding experience with us.